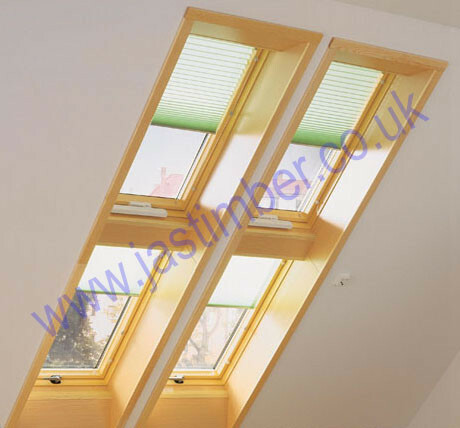 - Pine Top-third Pivot Opening Rooflight. A top-third pivoting double-glazed timber window, with an exterior cladding of anthracite-grey polyester-coated aluminium. 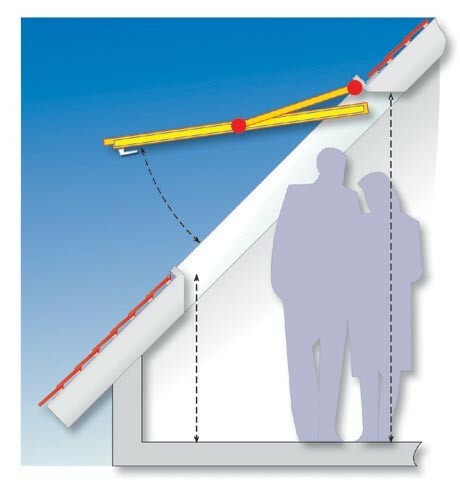 The opening action raises the opener higher than cheaper centre-pivot roof windows, to give more headroom. The high pivot hinge­/axis means minimal top window protrusion back into the living space; Smaller frame profiles - give maximum light. Manufactured using FSC Certified Scandinavian Pine timber components. These Timber Roof Windows can be fitted easily and quickly into roof slopes of 15 to 65 degrees, using standard polyester coated aluminium flashings for tile or slate roofs. Easy and safe ventilation using the single bottom handle, for all functions, with easy and safe cleaning when locked in the cleaning position. Specialist glazing available if required - eg Obscure glazing £37 +vat extra. Haulier Delivery of Glazed R7 Rooflights by pallet delivery is safer.